One of the most important skills for educational success is literacy. And developing our children's literacy skills must begin at birth. We all know that parents should read a wide variety of literature to their children on a regular basis. And many professionals think that for a child to be literate in a second language, they must first become literate in their first language. Doing so allows them to decipher and apply many of the rules they learned in their native language to the second. Literacy is something with which I am somewhat obsessed, and I have commented on this quite a bit over on the LBBC. I am especially concerned about the literacy rate among our Latino children. If you are reading this blog, then already the battle is half over because that probably means that you are invested in your child's educational success. And parental involvement is SO IMPORTANT! Or if you are a teacher, you obviously care enough about your students to research the internet for ideas. 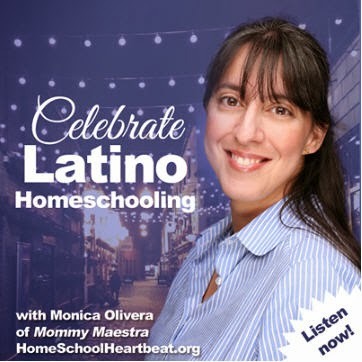 Perhaps like me, you are one of the growing number of families who are opting to raise bilingual children. 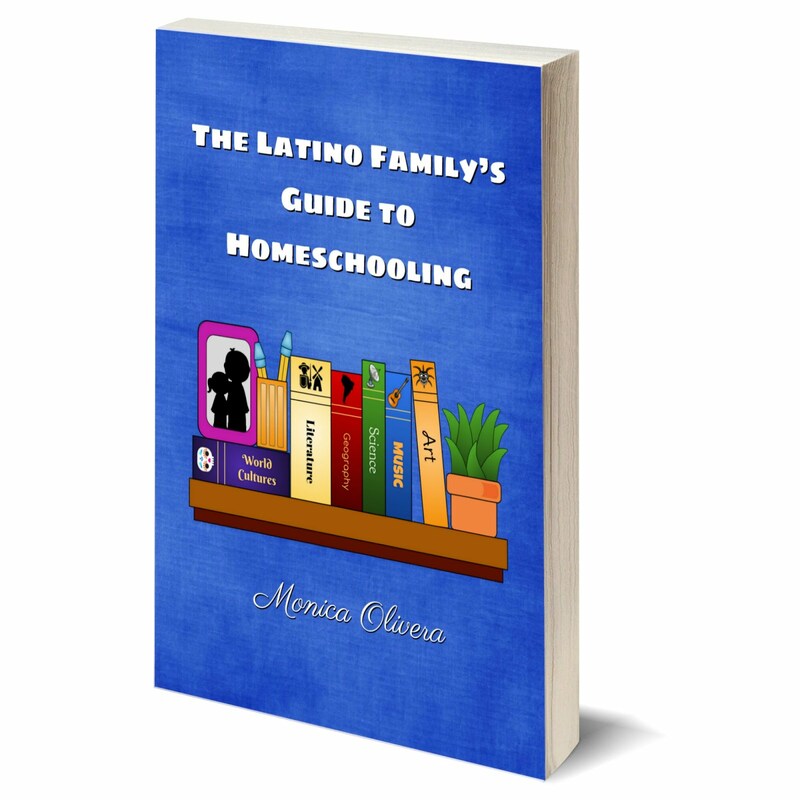 If so, you many know that there are numerous methods in use by families all over the world in order to accomplish this challenging feat, and fortunately for us, we now have many wonderful online resources such as Spanglish Baby, Multilingual Living, and many others, which support us by describing these methods. One thing that many parents struggle to find, though, is quality bilingual toys. Especially ones that promote literacy. While nothing can replace the effective instruction of one-on-one interaction with a parent or teacher, manipulatives and games that promote bilingual literacy can be valuable tools for reinforcing concepts and vocabulary. Through the LBBC I have had the pleasure of working with Ingenio Toys, which is what I consider to be one of the best bilingual toy companies in the country. It is obvious that they put a lot of thought into their products and that they are committed to creating quality toys that are educational and affordable. Ingenio already has a great line of bilingual toys, including the My First Notebook, the Smart Projector, puzzles, cards, and games that develop spelling and math skills. In honor of Hispanic Heritage Month, they have just launched three new products: The Puerto Rico Map Learning Puzzle, the Mexico Map Learning Puzzle, and the Easy Translator (Spanish). 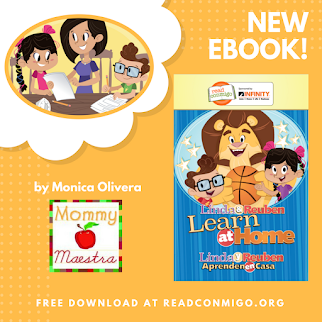 I am super pleased to announce that Ingenio is offering one of its Easy Translators to a Mommy Maestra reader. 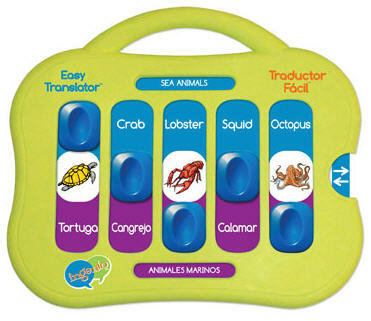 The Easy Translator comes with 15 double-sided cards, each with a unique learning theme. 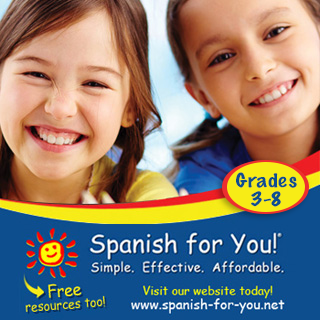 It is designed for both Spanish learners and English learners. You can read more about it here. To enter for your chance to win, simply visit their site and let us know what you think of their line of bilingual toys. I think their toys look great. I'm always looking for quality toys and learning materials in Spanish. Im always open to educational toys and i like Ingenio toys, the toys are great. i would like to win this toy for my son his turning 3 this month. thanks for this opportunity! Wow, I am impressed. The toys look very easy to use and very appeling to kids. Another great giveaway! We already own two of the puzzles and they are educational and good quality. I have been very impressed with this company. Thanks for the recommendation! As a teacher, I can say that they are well designed to keep children's interest longer than many other toys. Several of them seem like they are good for a wide range of age groups and skill levels. I particularly like the Math-o-matic and the Easy Translator you reviewed. I am impressed with these new & different styles of learning toys. I would appreciate using them very much as I embark on my homeschooling adventure with my 2 wee ones (4 and 2). We are moving back to the States from Peru and I am looking for things to continue to teach my kids Spanish. I love their toys! I'm so happy there are quality bilingual toys out there. I love the puzzles and the projector. I think they are wonderful. What a fun way to learn both languages. I thought the smart projector was a good idea; kids can trace an animal and also the animals name in Spanish/English. Thanks for the chance. Joined you on facebook. Thanks. I am impressed with these new & different styles of learning toys. I think their bilingual toys are fantastic and they have a great selection. My two year old twins are bilingual and would love these products. I love these toys. 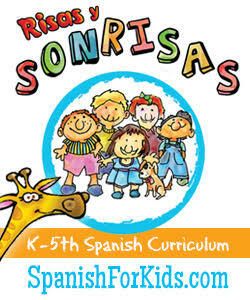 I think it's great for kids to learn a second language while they are still young. I like them, my kids would do great with them! 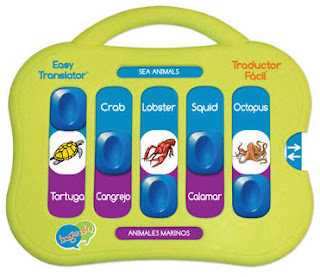 I think these are terrific toys for children to learn multiple languages.